These transparent Specimen Jars, used for preserving different specimens in the lab are provided with a cap that fits in tight. These jars provided excellent protection to the species preserved in it. These transparent specimen jars, used for preserrving different specimens in the lab are provided with cap[ that fits in tight. there jars provided excellent protection to the species preserved in it. Rectangular are supplied with or without cover. Available in different sizes as below. Mostly demanded in Soda Glass. In order to meet various demands of our esteemed clients, we are engaged in manufacturing an optimum quality array of Specimen Jars. WE OFFER A RANGE OF SPECIMENS WITH IN THE SEALED SPECIMEN JARS. 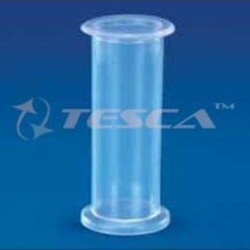 Cylindrically Jar are made from acrylic pipe, bottom chemically welded, leak proof with cover and knob. 200 x 105 mm. etc. Our Glass Jars serve a variety of applications in education and research. Glass Jars are suited for high vacuum work and as spares for vacuum coating units, fermentation jars for microbial fermentations in research and development, museum jars for storing and displaying valuable specimens and also for chromatography work. 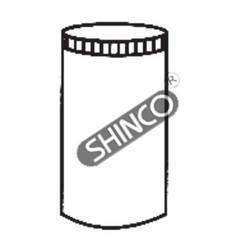 02.280 Specimen Jars, “LABOGLASS, with Bakelite screw cap and Rubber liner, suitable for Culture, Autoclaveable. Particulars: ø50 mm x h150 mm.